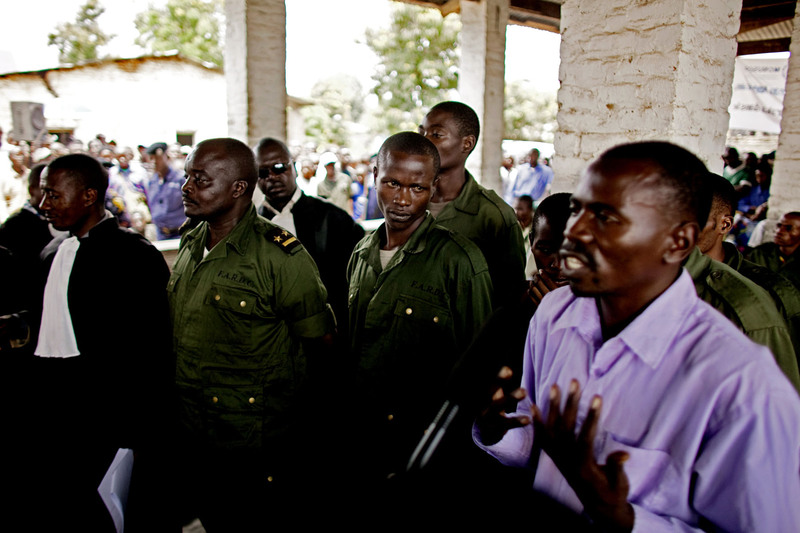 Sido Bizinungu (center), a close associate of Lt. Col. Kebibi (L), casts an intimidating gaze toward a witness as the latter testifies against the soldiers. The witness explained that Kebibi’s soldiers looted his shop and brutally assaulted him during their rampage. Testifying against such hardened fighters in open court required tremendous courage on behalf of all the witnesses, none of whom had any assurance that their testimony would lead to convictions.